How a soul, elevated by desire of the honor of God, and of the salvation of her neighbors, exercising herself in humble prayer, after she had seen the union of the soul, through love, with God, asked of God four requests. 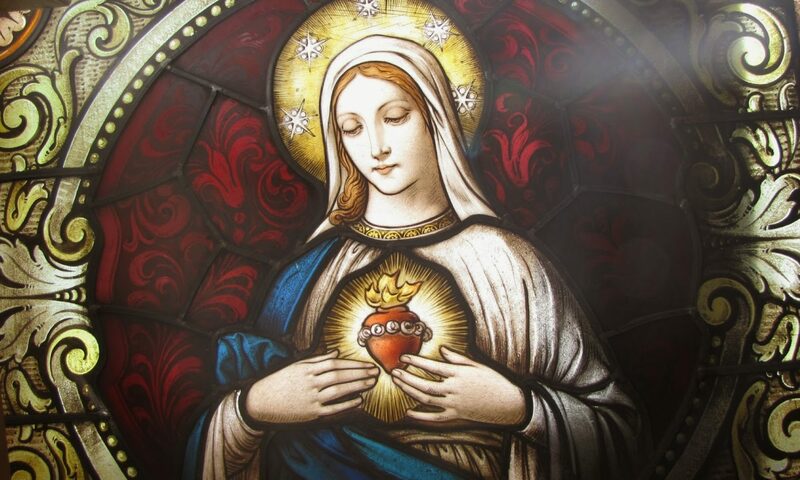 The soul, who is lifted by a very great and yearning desire for the honor of God and the salvation of souls, begins by exercising herself, for a certain space of time, in the ordinary virtues, remaining in the cell of self-knowledge, in order to know better the goodness of God towards her. This she does because knowledge must precede love, and only when she has attained love, can she strive to follow and to clothe herself with the truth. But, in no way, does the creature receive such a taste of the truth, or so brilliant a light therefrom, as by means of humble and continuous prayer, founded on knowledge of herself and of God; because prayer, exercising her in the above way, unites with God the soul that follows the footprints of Christ Crucified, and thus, by desire and affection, and union of love, makes her another Himself. Christ would seem to have meant this, when He said: To him who will love Me and will observe My commandment, will I manifest Myself; and he shall be one thing with Me and I with him. It is therefore true, indeed, that the soul unites herself with God by the affection of love. So, that soul, wishing to know and follow the truth more manfully, and lifting her desires first for herself — for she considered that a soul could not be of use, whether in doctrine, example, or prayer, to her neighbor, if she did not first profit herself, that is, if she did not acquire virtue in herself — addressed four requests to the Supreme and Eternal Father. The first was for herself; the second for the reformation of the Holy Church; the third a general prayer for the whole world, and in particular for the peace of Christians who rebel, with much lewdness and persecution, against the Holy Church; in the fourth and last, she besought the Divine Providence to provide for thing 15 How the desire of this soul grew when God showed her the neediness of the world. How finite works are not sufficient for punishment or recompense without the perpetual affection of love. Then, the Eternal Truth seized and drew more strongly to Himself her desire, doing as He did in the Old Testament, for when the sacrifice was offered to God, a fire descended and drew to Him the sacrifice that was acceptable to Him; so did the sweet Truth to that soul, in sending down the fire of the clemency of the Holy Spirit, seizing the sacrifice of desire that she made of herself, saying: “Do you not know, dear daughter, that all the sufferings, which the soul endures, or can endure, in this life, are insufficient to punish one smallest fault, because the offense, being done to Me, who am the Infinite Good, calls for an infinite satisfaction? However, I wish that you should know, that not all the pains that are given to men in this life are given as punishments, but as corrections, in order to chastise a son when he offends; though it is true that both the guilt and the penalty can be expiated by the desire of the soul, that is, by true contrition, not through the finite pain endured, but through the infinite desire; because God, who is infinite, wishes for infinite love and infinite grief. Infinite grief I wish from My creature in two ways: in one way, through her sorrow for her own sins, which she has committed against Me her Creator; in the other way, through her sorrow for the sins which she sees her neighbors commit against Me. The sweet Truth continued: “See how, by contrition of the heart, together with love, with true patience, and with true humility, deeming themselves worthy of pain and unworthy of reward, such souls endure the patient humility in which consists the above-mentioned satisfaction. You ask me, then, for pains, so that I may receive satisfaction for the offenses, which are done against Me by My Creatures, and you further ask the will to know and love Me, who am the Supreme Truth. Wherefore I reply that this is the way, if you will arrive at a perfect knowledge and enjoyment of Me, the Eternal Truth, that you should never go outside the knowledge of yourself, and, by humbling yourself in the valley of humility, you will know Me and yourself, from which knowledge you will draw all that is necessary. No virtue, my daughter, can have life in itself except through charity, and humility, which is the foster-mother and nurse of charity. In self-knowledge, then, you will humble yourself, seeing that, in yourself, you do not even exist; for your very being, as you will learn, is derived from Me, since I have loved both you and others before you were in existence; and that, through the ineffable love which I had for you, wishing to re-create you to Grace, I have washed you, and re-created you in the Blood of My only-begotten Son, spilt with so great a fire of love. This Blood teaches the truth to him, who, by self-knowledge, dissipates the cloud of self-love, and in no other way can he learn. Then the soul will inflame herself in this knowledge of Me with an 17 ineffable love, through which love she continues in constant pain; not, however, a pain which afflicts or dries up the soul, but one which rather fattens her; for since she has known My truth, and her own faults, and the ingratitude of men, she endures intolerable suffering, grieving because she loves Me; for, if she did not love Me, she would not be obliged to do so; whence it follows immediately, that it is right for you, and My other servants who have learnt My truth in this way, to sustain, even unto death, many tribulations and injuries and insults in word and deed, for the glory and praise of My Name; thus will you endure and suffer pains. Do you, therefore, and My other servants, carry yourselves with true patience, with grief for your sins, and with love of virtue for the glory and praise of My Name. If you act thus, I will satisfy for your sins, and for those of My other servants, inasmuch as the pains which you will endure will be sufficient, through the virtue of love, for satisfaction and reward, both in you and in others. In yourself you will receive the fruit of life, when the stains of your ignorance are effaced, and I shall not remember that you ever offended Me. In others I will satisfy through the love and affection which you have to Me, and I will give to them according to the disposition with which they will receive My gifts. In particular, to those who dispose themselves, humbly and with reverence, to receive the doctrine of My servants, will I remit both guilt and penalty, since they will thus come to true knowledge and contrition for their sins. So that, by means of prayer, and their desire of serving Me, they receive the fruit of grace, receiving it humbly in greater or less degree, according to the extent of their exercise of virtue and grace in general. I say then, that, through your desires, they will receive remission for their sins. See, however, the condition, namely, that their obstinacy should not be so great in their despair as to condemn them through contempt of the Blood, which, with such sweetness, has restored them. “What fruit do they receive? “The fruit which I destine for them, constrained by the prayers of My servants, is that I give them light, and that I wake up in them the hound of conscience, and make them smell the odor of virtue, and take delight in the conversation of My servants. “Sometimes I allow the world to show them what it is, so that, feeling its diverse and various passions, they may know how little stability it has, and may come to lift their desire beyond it, and seek their native country, which is the Eternal Life. And so I draw them by these, and by many other ways, for the eye cannot see, nor the tongue relate, nor the heart think, how many are the roads and ways which I use, through love alone, to lead them back to grace, so that My truth may be fulfilled in them. I am constrained to do so by that inestimable love of Mine, by which I created them, and by the love, desire, and grief of My servants, since I am no despiser of their tears, and sweat, and humble prayers; rather I accept them, inasmuch as I am He who give them this love for the good of souls and grief for their loss. But I do not, in general, grant to these others, for whom they pray, satisfaction for the penalty due to them, but, only for their guilt, since they are not disposed, on their side, to receive, with perfect love, My love, and that of My servants. They do not receive their grief with bitterness, and perfect contrition for the sins they have committed, but with imperfect love and contrition, wherefore they have not, as others, remission of the penalty, but only of the guilt; because such complete satisfaction 18 requires proper dispositions on both sides, both in him that gives and him that receives. Wherefore, since they are imperfect, they receive imperfectly the perfection of the desires of those who offer them to Me, for their sakes, with suffering; and, inasmuch as I told you that they do receive remission, this is indeed the truth, that, by that way which I have told you, that is, by the light of conscience, and by other things, satisfaction is made for their guilt; for, beginning to learn, they vomit forth 19 How very pleasing to God is the willing desire to suffer for Him. “Very pleasing to Me, dearest daughter, is the willing desire to bear every pain and fatigue, even unto death, for the salvation of souls, for the more the soul endures, the more she shows that she loves Me; loving Me she comes to know more of My truth, and the more she knows, the more pain and intolerable grief she feels at the offenses committed against Me. You asked Me to sustain you, and to punish the faults of others in you, and you did not remark that you were really asking for love, light, and knowledge of the truth, since I have already told you that, by the increase of love, grows grief and pain, wherefore he that grows in love grows in grief. Therefore, I say to you all, that you should ask, and it will be given you, for I deny nothing to him who asks of Me in truth. Consider that the love of divine charity is so closely joined in the soul with perfect patience, that neither can leave the soul without the other. For this reason (if the soul elect to love Me) she should elect to endure pains for Me in whatever mode or circumstance I may send them to her. Patience cannot be proved in any other way than by suffering, and patience is united with love as has been said. Therefore bear yourselves with manly courage, for, unless you do so, you will not prove yourselves to be spouses of My Truth, and faithful children, nor of the company of those who relish the taste of My honor, and the salvation of souls.” How every virtue and every defect is obtained by means of our neighbor. “I wish also that you should know that every virtue is obtained by means of your neighbor, and likewise, every defect; he, therefore, who stands in hatred of Me, does an injury to his neighbor, and to himself, who is his own chief neighbor, and this injury is both general and particular. It is general because you are obliged to love your neighbor as yourself, and loving him, you ought to help him spiritually, with prayer, counseling him with words, and assisting him both spiritually and temporally, according to the need in which he may be, at least with your goodwill if you have nothing else. A man therefore, who does not love, does not help him, and thereby does himself an injury; for he cuts off from himself grace, and injures his neighbor, by depriving him of the benefit of the prayers and of the sweet desires that he is bound to offer for him to Me. Thus, every act of help that he performs should proceed from the charity which he has through love of Me. And every evil also, is done by means of his neighbor, for, if he do not love Me, he cannot be in charity with his neighbor; and thus, all evils derive from the soul’s deprivation of love of Me and her neighbor; whence, inasmuch as such a man does no good, it follows that he must do evil. To whom does he evil? First of all to himself, and then to his neighbor, not against Me, for no evil can touch Me, except in so far as I count done to Me that which he does to himself. To himself he does the injury of sin, which deprives him of grace, and worse than this he cannot do to his neighbor. Him he injures in not paying him the debt, which he owes him, of love, with which he ought to help him by means of prayer and holy desire offered to Me for him. This is an assistance which is owed in general to every rational creature; but its usefulness is more particular when it is done to those who are close at hand, under your eyes, as to whom, I say, you are all obliged to help one another by word and doctrine, and the example of good works, and in every other respect in which your neighbor may be seen to be in need; counseling him exactly as you would yourselves, without any passion of self-love; and he (a man not loving God) does not do this, because he has no love towards his neighbor; and, by not doing it, he does him, as you see, a special injury. And he does him evil, not only by not doing him the good that he might do him, but by doing him a positive injury and a constant evil. In this way sin causes a physical and a mental injury. The mental injury is already done when the sinner has conceived pleasure in the idea of sin, and hatred of virtue, that is, pleasure from sensual self-love, which has deprived him of the affection of love which he ought to have towards Me, and his neighbor, as has been said. And, after he has conceived, he brings forth one sin after another against his neighbor, according to the diverse ways which may please his perverse sensual will. Sometimes it is seen that he brings forth cruelty, and that both in general and in particular. “His general cruelty is to see himself and other creatures in danger of death and damnation through privation of grace, and so cruel is he that he reminds neither himself nor others of the love of virtue and hatred of vice. Being thus cruel he may wish to extend his cruelty still further, that is, not content with not giving an example of virtue, the villain also usurps the office of the demons, tempting, according to his power, his fellow-creatures to abandon virtue for vice; this is cruelty towards his neighbors, for he makes himself an instrument to destroy life and to give death. Cruelty towards the body has its origin in cupidity, which not only prevents a man from helping his neighbor, but causes him to seize the goods of others, robbing the poor creatures; sometimes this is done by the arbitrary use of power, and at other times by cheating and fraud, his neighbor being forced to redeem, to his own loss, his own goods, and often indeed his own person. “Oh, miserable vice of cruelty, which will deprive the man who practices it of all mercy, unless he turn to kindness and benevolence towards his neighbor! “Sometimes the sinner brings forth insults on which often follows murder; sometimes also impurity against the person of his neighbor, by which he becomes a brute beast full of stench, and in this case he does not poison one only, but whoever approaches him, with love or in conversation, is poisoned. “Against whom does pride bring forth evils? How virtues are accomplished by means of our neighbor, and how it is that virtues differ to such an extent in creatures. “I have told you how all sins are accomplished by means of your neighbor, through the principles which I exposed to you, that is, because men are deprived of the affection of love, which gives light to every virtue. In the same way self-love, which destroys charity and affection towards the neighbor, is the principle and foundation of every evil. All scandals, hatred, cruelty, and every sort of trouble proceed from this perverse root of self-love, which has poisoned the entire world, and weakened the mystical body of the Holy Church, and the universal body of the believers in the Christian religion; and, therefore, I said to you, that it was in the neighbor, that is to say in the love of him, that all virtues were founded; and, truly indeed did I say to you, that charity gives life to all the virtues, because no virtue can be obtained without charity, which is the pure love of Me. “Wherefore, when the soul knows herself, as we have said above, she finds humility and hatred of her own sensual passion, for she learns the perverse law, which is bound up in her members, and which ever fights against the spirit. And, therefore, arising with hatred of her own sensuality, crushing it under the heel of reason, with great earnestness, she discovers in herself the bounty of My goodness, through the many benefits which she has received from Me, all of which she considers again in herself. She attributes to Me, through humility, the knowledge which she has obtained of herself, knowing that, by My grace, I have drawn her out of darkness and lifted her up into the light of true knowledge. When she has recognized My goodness, she loves it without any medium, and yet at the same time with a medium, that is to say, without the medium of herself or of any advantage accruing to herself, and with the medium of virtue, which she has conceived through love of Me, because she sees that, in no other way, can she become grateful and acceptable to Me, but by conceiving, hatred of sin and love of virtue; and, when she has thus conceived by the affection of love, she immediately is delivered of fruit for her neighbor, because, in no other way, can she act out the truth she has conceived in herself, but, loving Me in truth, in the same truth she serves her neighbor. “And it cannot be otherwise, because love of Me and of her neighbor are one and the same thing, and, so far as the soul loves Me, she loves her neighbor, because love towards him issues from Me. This is the means which I have given you, that you may exercise and prove your virtue therewith; because, inasmuch as you can do Me no profit, you should do it to your neighbor. This proves that you possess Me by grace in your soul, producing much fruit for your neighbor and making prayers to Me, seeking with sweet and amorous desire My honor and the salvation of souls. The soul, enamored of My truth, never ceases to serve the whole world in general, and more or less in a particular case according to the disposition of the recipient and the ardent desire of the donor, as I have shown above, when I declared to you that the endurance of suffering alone, without desire, was not sufficient to punish a fault. “When she has discovered the advantage of this unitive love in Me, by means of which, she truly loves herself, extending her desire for the salvation of the whole world, thus coming to the aid of its neediness, she strives, inasmuch as she has done good to herself by the conception of virtue, from which she has drawn the life of grace, to fix her eye on the needs of her neighbor in particular. Wherefore, when she has discovered, through the affection of love, the state of all rational creatures in general, she helps those who are at hand, according to the various graces which I have entrusted to her to administer; one she helps with doctrine, that is, with words, giving sincere counsel without any respect of persons, another with the example of a good life, and this indeed all give to their neighbor, the edification of a holy and honorable life. These are the virtues, and many others, too many to enumerate, which are brought forth in the love of the neighbor; but, although I have given them in such a different way, that is to say not all to one, but to one, one virtue, and to another, another, it so happens that it is impossible to have one, without having them all, because all the virtues are bound together. Wherefore, learn, that, in many cases I give one virtue, to be as it were the chief of the others, that is to say, to one I will give principally love, to another justice, to another humility, to one a lively faith, to another prudence or temperance, or patience, to another fortitude. These, and many other virtues, I place, indifferently, in the souls of many creatures; it happens, therefore, that the particular one so placed in the soul becomes the principal object of its virtue; the soul disposing herself, for her chief conversation, to this rather than to other virtues, and, by the effect of this virtue, the soul draws to herself all the other virtues, which, as has been said, are all bound together in the affection of love; and so with many gifts and graces of virtue, and not only in the case of spiritual things but also of temporal. I use the word temporal for the things necessary to the physical life of man; all these I have given indifferently, and I have not placed them all in one soul, in order that man should, perforce, have material for love of his fellow. I could easily have created men possessed of all that they should need both for body and soul, but I wish that one should have need of the other, and that they should be My ministers to administer the graces and the gifts that they have received from Me. Whether man will or no, he cannot help making an act of love. It is true, however, that that act, unless made through love of Me, profits him nothing so far as grace is concerned. See then, that I have made men My ministers, and placed them in diverse stations and various ranks, in order that they may make use of the virtue of love. “Wherefore, I show you that in My house are many mansions, and that I wish for no other thing than love, for in the love of Me is fulfilled and completed the love of the neighbor, and the law observed. For he, only, can be of use in his state of life, who is bound to Me with this love.” How virtues are proved and fortified by their contraries. “Up to the present, I have taught you how a man may serve his neighbor, and manifest, by that service, the love which he has towards Me. “Now I wish to tell you further, that a man proves his patience on his neighbor, when he receives injuries from him. “Similarly, he proves his humility on a proud man, his faith on an infidel, his true hope on one who despairs, his justice on the unjust, his kindness on the cruel, his gentleness and benignity on the irascible. Good men produce and prove all their virtues on their neighbor, just as perverse men all their vices; thus, if you consider well, humility is proved on pride in this way. The humble man extinguishes pride, because a proud man can do no harm to a humble one; neither can the infidelity of a wicked man, who neither loves Me, nor hopes in Me, when brought forth against one who is faithful to Me, do him any harm; his infidelity does not diminish the faith or the hope of him who has conceived his faith and hope through love of Me, it rather fortifies it, and proves it in the love he feels for his neighbor. For, he sees that the infidel is unfaithful, because he is without hope in Me, and in My servant, because he does not love Me, placing his faith and hope rather in his own sensuality, which is all that he loves. My faithful servant does not leave him because he does not faithfully love Me, or because he does not constantly seek, with hope in Me, for his salvation, inasmuch as he sees clearly the causes of his infidelity and lack of hope. The virtue of faith is proved in these and other ways. Wherefore, to those, who need the proof of it, My servant proves his faith in himself and in his neighbor, and so, justice is not diminished by the wicked man’s injustice, but is rather proved, that is to say, the justice of a just man. Similarly, the virtues of patience, benignity, and kindness manifest themselves in a time of wrath by the same sweet patience in My servants, and envy, vexation, and hatred demonstrate their love, and hunger and desire for the salvation of souls. I say, also, to you, that, not only is virtue proved in those who render good for evil, but, that many times a good man gives back fiery coals of love, which dispel the hatred and rancor of heart of the angry, and so from hatred often comes benevolence, and that this is by virtue of the love and perfect patience which is in him, who sustains the anger of the wicked, bearing and supporting his defects. Traditional Catholic with a wife, 10 kids, 4 cats and a dog. To learn why this lay person is running this blog rather than a priest, go here.